Mix business with pleasure at Hilton Waikiki Beach. 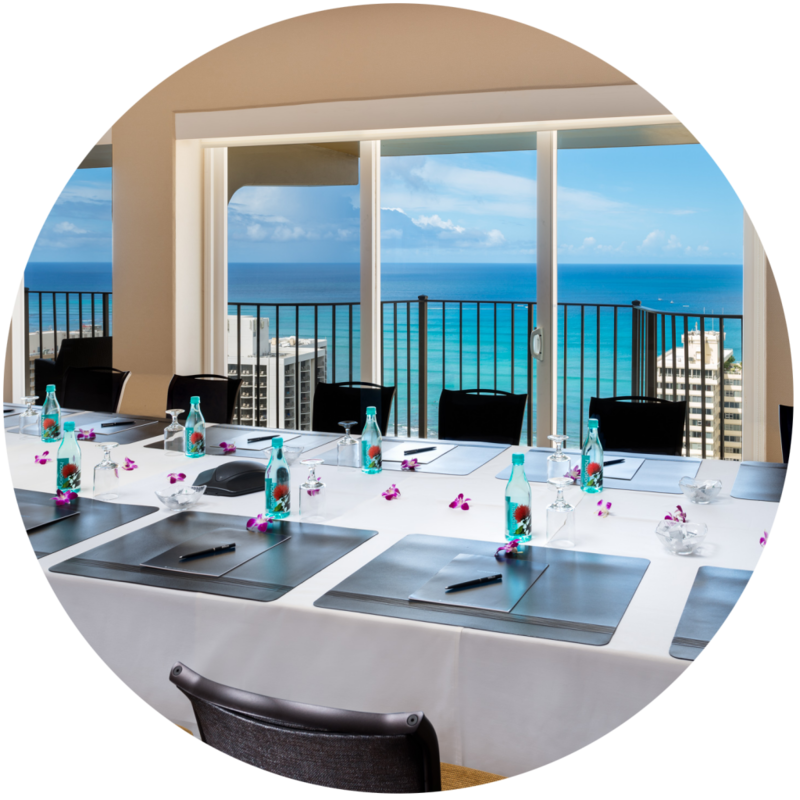 Located 1 block from the beach in a single tower with a 24-hour restaurant, Hilton Waikiki Beach promises an efficient program — so you can get more out of meeting in Paradise. Indoor & Outdoor spaces for any size meeting from 20-550 guests. 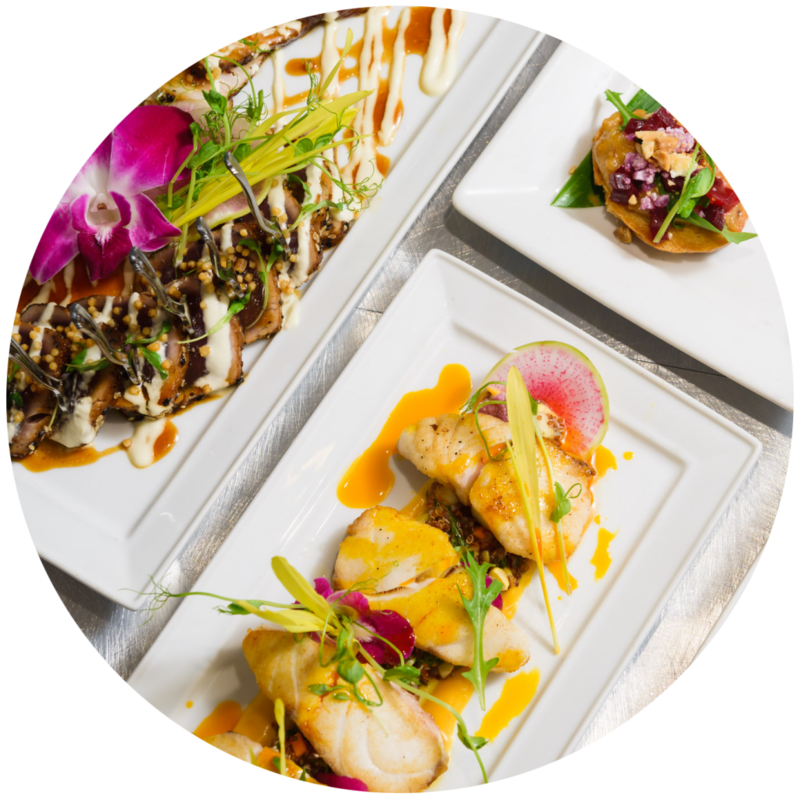 Inspired, fresh & exciting flavors for every taste & any occasion. Our team will ensure a seamless experience from start to finish. Our facilities and services are ideally suited for your groups and offer simple, bundled pricing. Just choose the options you need and we’ll get right back to you with a quote. Planning is a breeze with our all-inclusive package including continental breakfast, breaks, lunch, podium & microphone, & WiFi. Don’t let your message miss its mark. 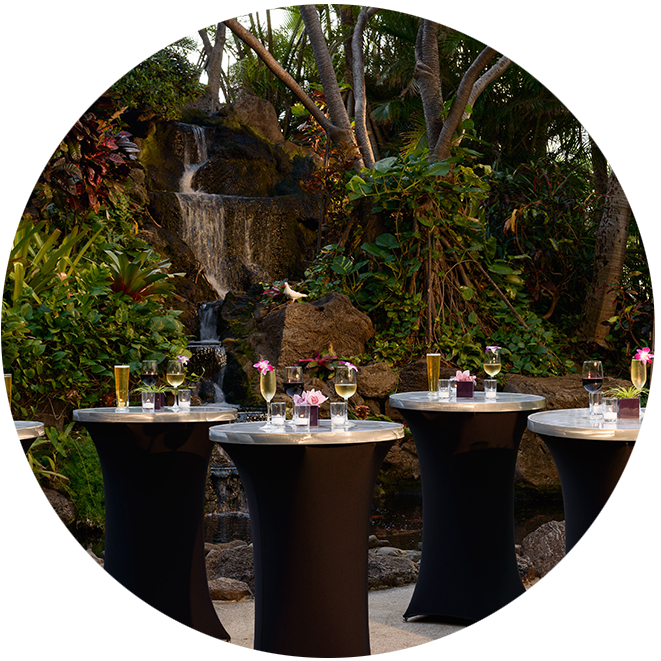 Hilton Waikiki Beach offers audio & visual services that make your business meeting or social event a complete success. When everyone is in one location, you get more done. The more they stay, the more productive you become.